In all capital cities, you’ll find damaged vehicle auctions being held on a regular basis which includes stolen and recovered vehicles, repairable vehicles, and complete write-offs. 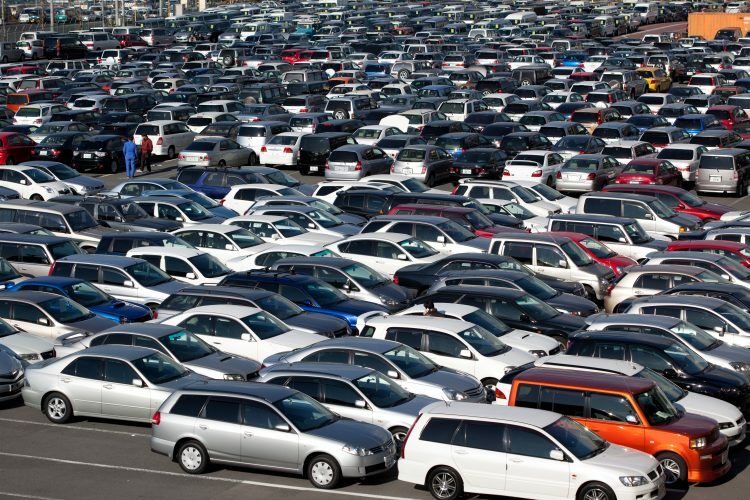 There can be anywhere from 30-100 vehicles go under the hammer which may be purchased for parts or restored to registerable road-going vehicles in some cases. Usually, these vehicles come from insurance companies when the vehicle has been deemed uneconomical to repair. So for the insurance company that means that it’s easier to pay out the owner for the agreed value or replacement cost, depending on policy type, rather than paying the cost of having the vehicle repaired. Some vehicles, especially imported vehicles that are a few years old, get written for the smallest damage, simply because the parts are so expensive as parts must be purchased new. These can be a great buy, repaired with secondhand parts and away you go. But it’s not always that easy. If it is a Repairable Write-Off it will generally require a specialised inspection at your expense prior to getting the vehicle registered. This inspection attempts to curve the illegal practice of ‘re-birthing’ cars and the use of stolen parts. The cost of these inspections varies from state to state but at the time of writing averaged around the $450 mark. An extra cost worth remembering when bidding on the vehicle. Also, worth noting is that these inspections can require the vehicle for the day and you will also have the cost of moving the vehicle from the place of repair to, and from, the inspection centre. And also worth noting is that there can be a waiting period before a booking becomes available at one of these centres. Repairers in Queensland have expressed dismay at having to wait weeks to get the car in for an inspection. All stuff that’s worth remembering when bidding. In Tasmania, the process differs slightly with the added requirement of a ‘Structural Check’ by an approved motor body repairer. If it is a Statutory Write Off that means the vehicle can not be put back on the road in Australia. It can be used for parts only. Vehicles have to be marked as a Statutory Write Off when they have been in salt water, fresh water above the dashboard for more than a certain time, and also in the cases of extreme damage. Vehicles that are older than a certain age don’t go onto the Written Off Vehicle Register so these vehicles won’t require a special inspection prior to registration. There appears to be some confusion over vehicles that are stolen and recovered are generally not put onto the Written Off Vehicle Register. But you should seek confirmation from the auctioneer as to the vehicles status prior to bidding. A large number of people bidding will be parts recyclers (aka wreckers) who are simply buying more stock for dismantling and after that panel beaters or mechanics who intend to repair the vehicle for their own use or to sell. That’s an interesting question, you really need to know your stuff when it comes to buying a vehicle at these types of auctions with the aim of getting the vehicle back on the road with a substantial saving to make it worth the trouble. Like any type of auction, there are stories of people ’snagging a bargain’ and also plenty of stories about people that unfortunately got burnt. You don’t want to be one of the latter! Cars that have been water damaged can be particularly troublesome, they may appear to be in perfect condition but sometimes their faults are well hidden. At most damaged vehicle auctions, there is no way to perform any real tests to establish how the vehicle runs or operates, so while you can walk around the outside of the vehicle there is much you just won’t know. Late model vehicles don’t like water, there is a fair chance that there will be damage to vehicle computers and related electronics and on some vehicles, this can be big dollar stuff. If you can’t get a computer from a wrecker or refurber you may be looking at thousands of dollars as the price for genuine electronic components from some manufacturers is nothing short of extraordinary. Also with water damaged cars is the problem of the water entering both the engine and transmission/driveline. Transmissions and drivelines will survive some water ingress if the oil is drained and flushed sooner rather than later but engines can be another story. If water has entered through the air inlet then they engine may have ‘compression locked’ which means that the piston tried to compress a heap of water, and of course couldn’t, then it bent a cylinder rod before stopping. These cars can take months to get to auction so if there is water left in the cylinder there could also be rusted bores and even engine seizure. When you go to an auction with water damaged cars you probably see the air cleaners removed or opened, this is people looking for possible water entry to the cylinder via the air intake. With water damaged cars, there’s also the cleaning side. Sounds easy, but more than likely you will have to remove the whole interior including seats and carpets to dry out the existing water, clean out mud etc. and get rid of mould and the musty smell if it has been sitting around. Some auction centres have even been cleaning water damaged vehicles and getting them up and running prior to auction but keep in mind that electronics can still fail down the road and there is still the Written Off Vehicle inspection cost prior to registration. More than likely if you are looking at cars like this then you are probably an experienced panel beater. You’ll have the experience to be able to asses the work involved in getting the vehicle back to suitable condition. But there is something worth noting and that is that some insurance companies have a new parts only policy, so the panel beater buying at auction can generally repair the vehicle for much less than the insurer would have been quoted. This is often seen with imported vehicles, where the insurer will be forced to write the vehicle off due to exorbitant cost of new parts coming from overseas. Vehicles like this have been seen at auction with nothing more that trim damage! Panel beaters who can get the parts from a wrecker can often pick up an easy to repair vehicle. If you couldn’t care less about external aesthetics then here is where you can pick up a whole lot of car for a discounted price. It doesn’t take a lot of hail damage to see a car be written off, particularly older vehicles. But remember you will still need to get a Written Off Vehicle Inspection and if you decide to sell the car it can be tough unless you are selling out a heavily discounted price or you have the damage repaired. Once you have the Written Off Vehicle Inspection done you are then clear to register the vehicle and be on your way, but it will always be on the record that this vehicle was once a Written Off Vehicle. To many people this is no big deal if the vehicle has been properly repaired, but some people may be put off, causing difficulty when trying to sell the vehicle. There is a big risk factor when buying from this type of auction, even for experienced players! So due diligence must be exercised. Also, always be sure about the status of a vehicle prior to bidding and check with the relevant transport or road safety department in your state for exact requirements and legalities surrounding written off vehicles.